Because guys like this earn 19 million dollars a year… And that’s why he owns so many lawmakers. Your money isn’t going for insurance coverage, it’s going for salaries. Blue Cross Blue Shield of Michigan disclosed Friday that it paid its top executive a record amount of money last year as he guided the state’s largest health insurer to strong overall financial results. Total compensation for Daniel Loepp, CEO of Blue Cross since 2006, hit $19.2 million in 2018. That was up from his $13.4 million payday in 2017 and $9 million in 2015. Loepp is now among the five highest-paid CEOs of any Blue Cross Blue Shield insurer in the nation. NO ONE is worth that much money a year. No one. What a stinking racket, made possible by your lawmakers, America. 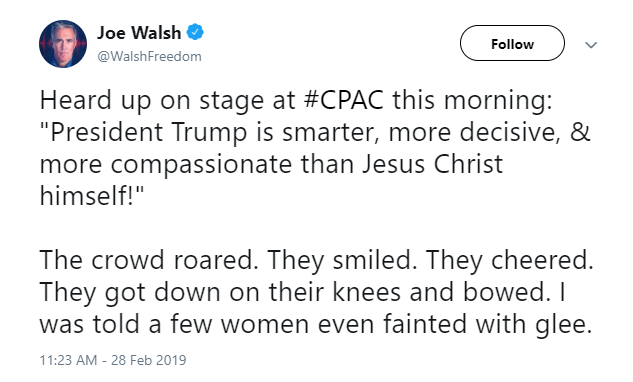 Because if that’s what was said, and how they reacted, there wasn’t a Christian in the crowd. Both are equally disinterested in real dialogue and instead only accept dominance. If there were a left wing version of CPAC it would be just as well attended. If anyone suggests otherwise they’re a liar. #NationalDayOfExcommunicating – co-founded by Chris Tilling, myself, and every decent person. Cast the godless out, friends. Cast them out. The very fact that some people seem to think that ‘unplugging’ is some sort of ‘sacrifice’ shows just how bereft our society is of actual sacrifice; and how unfamiliar it is with its practice. As this tale of woe relates. And here I thought Classicists were genteel and sweet. Oops. Not so. Even they have the politically correct warriors brandishing weapons when they feel it’s right. Es sind gar vil wort by den Ebreern, die, so man sy in tütsch vertolmetschet, ir krafft unnd ducht, ir liebliche und schöne gar verlürend oder ye nitt gnuogsam ußtruckend. Uff das nun in sölichem dem Tütschen nüt manglete unnd der ursprünglichen spraach, in deren die propheten gschriben, eygenschafft und ard wol harfürbracht wurde, habend wir zuo zyten, wo es die not erforderet, annstatt des ebreischen ein anders gschoben, doch ein söliches, das die eigenschafft des ebreischen eygentlich zuo verston gebe. That’s what translations are supposed to do! “This must be believed. We can’t understand it. That’s the way it is. There will be debate about how the Trinity is in the unity (when there’s no relation between the infinite and the finite), how nature can produce such a strange marvel as a God-man, etc. [While occupied thus with disputation] men will let the article concerning justification go. If only we would study in the meantime how to believe and pray and become godly! We’re not content with that which we can understand and insist on disputing about something higher, which we can’t possibly understand and which our Lord God doesn’t want us to understand. That’s the way human nature is. It wishes to do what is forbidden; the rest it ignores and then starts asking, Why? Why? Why? There’s something glorious in simplicity and honesty that eclipses pretensions to false knowledge. The Lord’s Supper occupied Zwingli from 1522 onwards with things coming to a head at Marburg in 1529. 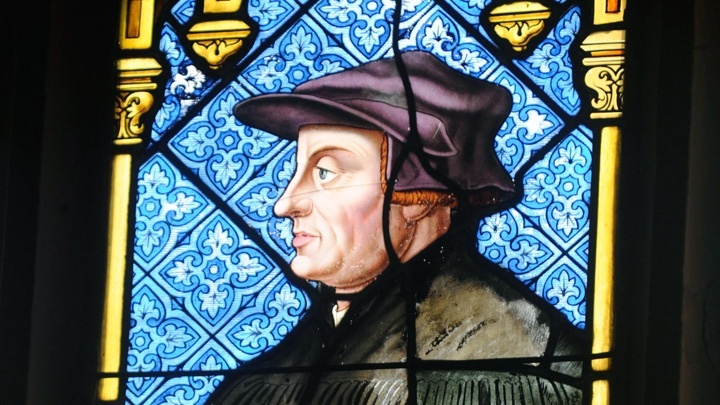 Between these two critical dates amidst disputing with the Papists and the Anabaptists, Zwingli had to explain to friends and foes his view. 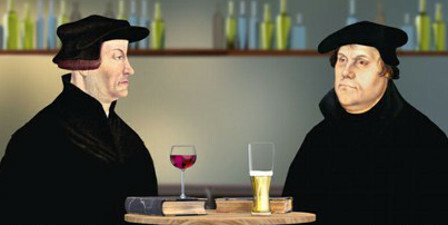 On 1 March 1526 Zwingli published his Ad Theobaldi Billicani et Urbani Rheii epistolae responsio. Here Zwingli glosses a letter from Billican and writes a letter to him and Urban in order to describe more fully not only his views but to point out their errors. It’s a pleasant read. Enjoy. Her voice was so low it was almost hard to make out the words she was saying, her face looked tired, her eyes looked heavy. All Nina Brown wanted was to have her sister Jill back. There’s a quiet and stillness that encompassed the room around the two of us. The kind that you only experience when you walk into the home of a person who has recently passed away. Nina Brown, 85, is wearing a lime green vest as she looks across the kitchen table at me and begins to unravel the gut-wrenching details of her sister’s final moments on this earth. It was Tuesday evening. Jill Peterson noticed her gutters were overflowing from a week’s worth of heavy rain. The 88-year-old longtime waitress went out to the back of her home on Evans Lane in Pall Mall, Tennessee to try to clear a drainage ditch. She never saw the pack of six German Shepherds coming at her. The next few minutes were a hellish nightmare for the elderly woman who could do nothing to stop their vicious attack. Compounding her pain is the prior incidents that were reported to authorities over the years. The dogs belong to a neighbor who lives behind Jill Peterson. District Attorney Bryant Dunaway says it is possible the dog’s owner could face homicide charges. “This is a very sad situation. Once we gather the fact we’ll determine if there’s criminal liability or not,” Dunaway said in an interview on Thursday. All of the dogs were euthanized after the attack and are being examined by a vet. When dogs have a history of attacking people and you don’t control and contain them, and they kill someone, you should be charged with murder. Your dog isn’t more important than a person. 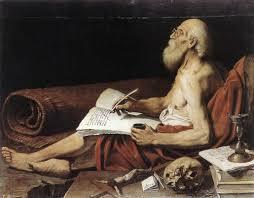 Amen and amen, good St. Jerome! When you go a short way into the country, do not leave your daughter behind you. Leave her no power or capacity of living without you, and let her feel frightened when she is left to herself. Let her not converse with people of the world or associate with virgins indifferent to their vows. Let her not be present at the weddings of your slaves and let her take no part in the noisy games of the household. As regards the use of the bath, I know that some are content with saying that a Christian virgin should not bathe along with eunuchs or with married women, with the former because they are still men at all events in mind, and with the latter because women with child offer a revolting spectacle. For myself, however, I wholly disapprove of baths for a virgin of full age. Such an one should blush and feel overcome at the idea of seeing herself undressed. By vigils and fasts she mortifies her body and brings it into subjection. By a cold chastity she seeks to put out the flame of lust and to quench the hot desires of youth. And by a deliberate squalor she makes haste to spoil her natural good looks. Why, then, should she add fuel to a sleeping fire by taking baths? See? It’s stuff like that which endears Jerome to my Jerome-esque heart. And anyone who has been around higher ed knows it. We all know profs who have grad students do research and writing and then slap their own names on it and publish it. It’s the worst kept ‘secret’ in academia.